Thank you to everybody who commented with a book or an author suggestion for bumping up my 'To Be Read' list. Since my reading time is less than it was (sob!) I have a lot more books than I have time to get through so it's good to get some ideas to help me prioritise. I hope the suggestions were helpful to any of you with a bigger TBR list than you can get to! I am not generally a fan of January. Everybody is grumpy, most people are dieting, people are complaining they have no money because they overspent on Christmas, and the weather is rubbish. What is there to celebrate? You might not realise it, but this month marks the anniversary of when I started to blog and to celebrate I would like to have a little giveaway to say thank you to all of you who join me in my love of books. Since I live in the UK I am not able to give away an ebook, as unfortunately Amazon UK still doesn't support gifting, so instead I am proposing to give away something which many of you would like better anyway, a paper book of your choice from 'The Book Depository' up to the value of £10 (you can change the currency to UK pounds on the top right of their website so you can see how much a book would be in pounds). 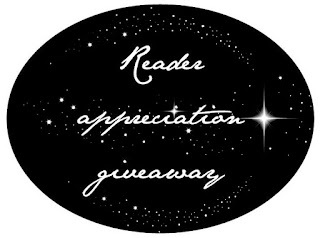 To enter, all you need to do is comment on this post, suggesting a book that I should add to or bump up my to be read list. Please comment by the end of the day on Saturday 16 January and leave a way for me to contact you in case you are chosen as the lucky winner. This contest is open internationally, to anybody who lives in a country The Book Depository ships to - list here. Thanks again for dropping by my blog. I appreciate all of your page views and comments so much. Good luck in the giveaway! 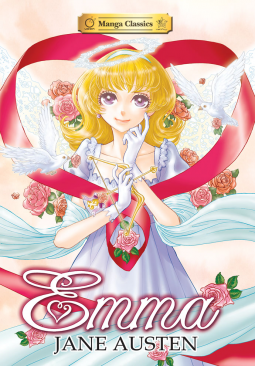 I downloaded this Manga version of Jane Austen's 'Emma' with a sense of real curiosity – I love Jane Austen’s works and if I try to analyse why I like them one of the the things that jumps out most is her style and humour. To me, the most important things about an Austen story is not so much what happens but the enjoyment I get from how she describes it, so I was interested to see how well this enjoyment would translate to a graphic novel with far fewer words, particularly as (by the highly scientific method of glancing at my hard copies), ‘Emma’ is one of Austen’s longer novels. Happy New Year everybody! I will get on to my planned reads for January presently, but firstly I thought I'd give you some idea of what I have planned for this year. As ever in January, I am hoping for good things from the year to come and to become more organised in general. Have you ever heard of the word 'Tsundoku'? Well, I have a bad case of it, both in hard copy and electronic form. It's so enjoyable to buy new books, but despite my best intentions I buy more than I read. I have some books that are supposed to be excellent reads just languishing on my shelves. This year, this is something that needs to change, so I have decided to set myself a little challenge of reading one book from my hard copy pile, and one from my ebook treasure trove to try and reduce some of my Tsundoku problem.